We are here to help people that live a gluten free lifestyle live their best life. Now, we see you rolling your eyes, but I don’t live a gluten free lifestyle. It’s not a “lifestyle” or fad, I’m not on a “diet.” I can’t have any gluten, not a spec, no cross contamination + no I won’t eat the gluten free bread on the same plate as the wheat-filled bread. We hear you + we see you. We walk this road with you. Living an exciting, nutritious + strictly gluten free life has its challenges. We live them + we want to help support you day in + day out as you live free of gluten + full of life. Two paths crossed to bring AGF to where it is today. 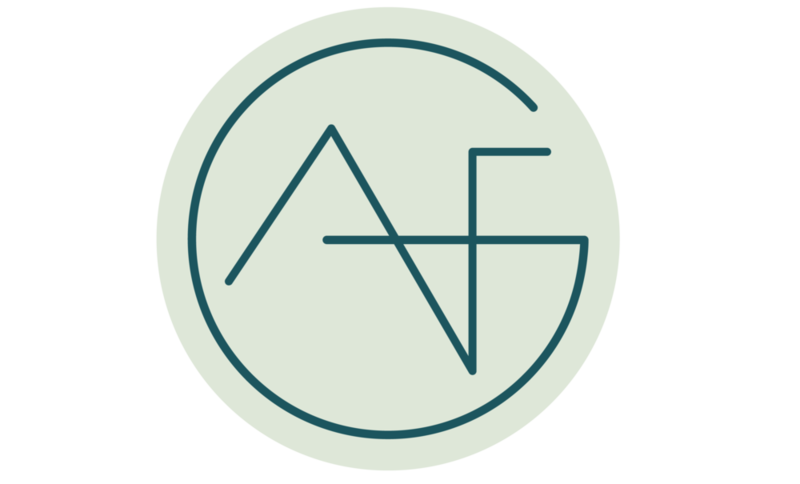 In 2015, two women that had never met, had parallel experiences, that would lead them to create AGF. 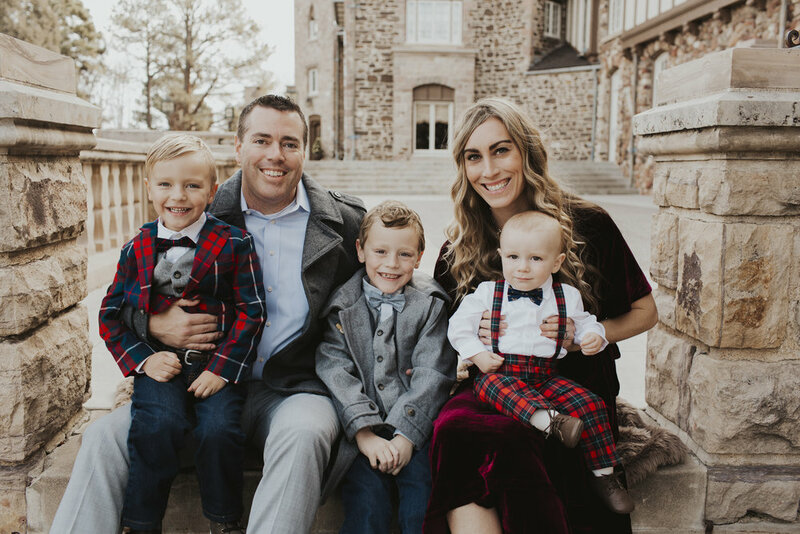 Within weeks of each other, Erika was diagnosed with Hashimoto’s Thyroiditis + Lindsey’s son, Bowan, age 14 months was diagnosed with multiple life threatening food allergies. Both of their lives changed forever because of the diagnoses. They faced sickness, pain, loss of a life once known.They changed their diets + the diet of their families to manage the autoimmune disease + severe food allergies. They did a lot of research + learned a lot along the way. Lindsey threw out or gave away almost every single thing in her pantry + started over. Lindsey + Erika learned to live a new life free from many foods, but also found a passion for wanting to help others on the same road. 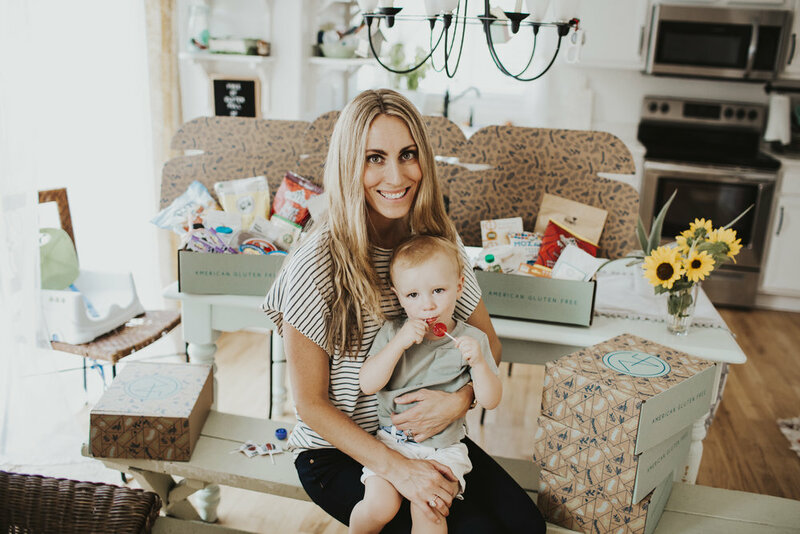 Erika founded American Gluten Free out of the desire to share all of the delicious + amazing gluten free brands that create products just for you + me. While Erika founded AGF, Lindsey was creating + publishing allergen-free recipes. Eating a gluten free diet based on whole foods that are cooked at home is totally doable. But, sometimes we really need some convenient snacks. And, sometimes we just need cake- definitely cake, or pizza, or warm cookies? Feelin’ the vibes? Eating is important, it’s necessary to sustain life + just because we are gluten free doesn’t mean we should miss out. That’s why AGF sends you a curated box each month. So, you can enjoy some exciting new products without doing the research on the brands yourself or driving to every grocery store in your zip code or scouring the internet. Mama of three boys: Breck, Bowan + Bridger whose life consists of garbage trucks, toy trash + boy life. What lead You to Purchase AGF? Lindsey contacted a realtor in Northern Michigan looking for a change from Colorado after her son had two anaphylactic reactions within a coupe months time to unknown allergens, Kiwi + Peach. Her world was shaken + she was looking to be closer to family + seeking change. The relator she contacted was Erika. The rest is history. Lindsey went to Traverse City, MI looking to buy a house + she bought AGF on Spring Break instead. How did Lindsey get into the Allergy + Gluten Free Space? Lindsey started out as a food photographer when she was developing allergy friendly meals ‘free from’ a long list of allergens. She had to get really creative with all of the allergens she had to exclude. She worked day in + day out cooking, washing the growing pile of dishes + eating the food she created. When creating art, there is something to show for it. But, with food, you work so hard to cook + prepare it, eat it + it’s gone + you're just left with a big pile of dishes + a messy kitchen. Food photography is a way for her to preserve the food creations she develops + to help other people on the same free-from journey looking for nutritious options for their kids + families. Where is American Gluten Free based? Denver, Colorado. A long way from the small farm Lindsey grew up on in Milan, Michigan. His current allergies are: Wheat, Sesame, Kiwi + Peach. He has outgrown multiple allergies including: Peanut, Tree Nuts, Egg, Shellfish, Cod, Soy, Avocado, Pineapple, Mustard Seed + Garlic. Yes, to Wheat + Soy. She also has the autoimmune disease: Hashimoto’s Thyroiditis. Does Lindsey Have any other food restrictions? Lindsey has been a vegetarian since childhood. She has been a strict gluten free-soy free vegan at times. Lindsey also currently restricts dairy from her diet due to Hashimoto’s.